We pride ourselves on not only offering these cost-effective solutions, but also managing, supporting and servicing the hardware, integrated data solutions, interactive whiteboards and software. PhotoNote, with its comprehensive services and intricate understanding of a school’s requirements gained from many year of experience, has proudly become one of the largest IT / office equipment suppliers to schools in South Africa. We all know that schools have extensive printing requirements and so a few years ago PhotoNote, with input from respected educators, introduced a one cost per month unique rental plan catering specifically for schools. The plan covers the cost of equipments and also includes service, spares, consumables and the cancellation of existing contracts. This has been very well recived and is working very successfully in many schools. PhotoNote also believes very strongly in supporting the schools that support us and we enjoy many mutually beneficial “partnerships” with our valued school clients. 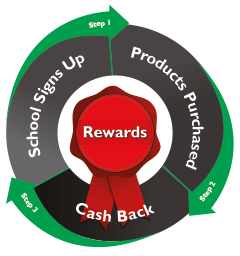 PhotoNote recently launched an exciting and innovative new initiative called PhotoNote Rewards where anybody who purchases any of the products that we supply, can nominate the school of their choice and that school will receive up to 10% in cash back from Photonote to go towards much needed fund raising activities at the school. CLICK HERE for details and how a school can sign up.